Hunting Island State Park is one of the most popular state parks and beachareas in South Carolina. Hunting Island beach attracts over a million visitors a year. The pristine sandy beach, natural setting and warm Atlantic Oceanmake a perfect getaway. 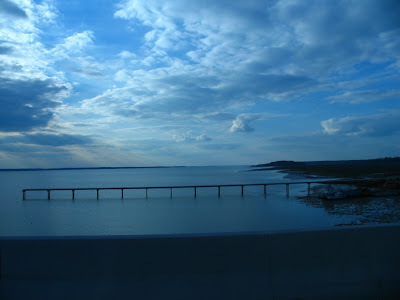 Camping, the historic lighthouse, lagoon,fishing pier and nature trails. Hunting Island is not just another beach...it's a nature and wildlife paradise... right here in the USA. This island faces the Atlantic Ocean on its eastern shore and provides access to sandy beaches and rolling surf. The natural beauty of the South Carolina coast cannot be matched. Hunting Island is a barrier island, nature’s first defense against the onslaughts of the Atlantic Ocean. Its four miles of beachfront take a tremendous pounding from the sea. Erosion on Hunting Island takes away approximately 15 feet of sand every year. It is one of the fastest eroding beaches on the east coast. And, of course, the offshore winds generated during the bad hurricane season of 2004 eroded the beach alarmingly – 50 feet disappeared from the south beach area near Cabin Road.The ocean threatened to wash out the road and join with the lagoon. Federal funds became available to do emergency nourishment in the area most affected, a project now completed. To help combat the overall erosion, particularly in the area of the lighthouse, the South Carolina legislature put $5 million into the State budget. With other funds already appropriated, the project to pump sand onto the beach in 2006 was completed and to place strategic groins (jetties) on the beach during the winter of 2006 – 2007 is also done. The sand pumping was finished in time for the 2006 turtle season. Human visitors to the park will also find the expanded beach much to their liking. The fight against erosion is constant and can never be won completely. The hope is that this beach nourishment project will preserve the beach for about 20 years. At the end of that period, more nourishment will almost surely be necessary. It is the only way to save the beach for the future generations of South Carolinians and visitors from all over the country and the world. "We are delighted to announce our beach re-nourishment has been completed ahead of schedule, and we now have approximately 100 feet of beach at high tide for your enjoyment." Savannah ist eine Stadt im Chatham County im US-Bundesstaat Georgia. Savannah wurde 1733 von dem englischen Adligen James Oglethorpe gegründet und befindet sich etwa 25 km von der Atlantikküste entfernt am Savannah River. Die Stadt war die erste Siedlung der englischen Kolonie Georgia und bis zum Sezessionskrieg ein wichtiger Hafen für Baumwolle. Viele Touristen besuchen die Altstadt, die mit ihren begrünten Plätzen und vielen liebevoll restaurierten Häusern als eine der schönsten der USA gilt. Einer der größten Arbeitgeber ist die Papierfabrik von International Paper. Diese Fabrik galt lange Zeit als die größte der Welt. Auch die Filmindustrie greift oft auf Savannah als Schauplatz zurück. So wurden hier Teile des Films Forrest Gump gedreht. Im Film wartet dieser auf einer Bank am Chippewa Square auf den Bus; die Bank steht heute im Savannah History Museum. Savannah wurde auch durch den Bestseller Midnight in the Garden of Good and Evil von John Berendt bekannt, der das Flair der Stadt widerspiegelt und die Geschichte eines bizarren Mordfalls halb journalistisch, halb romanhaft erzählt. Das Buch wurde 1997 von Clint Eastwood in Savannah verfilmt - siehe Mitternacht im Garten von Gut und Böse (Film). Der Hafen von Savannah ist immer noch ein bedeutender Überseehafen.